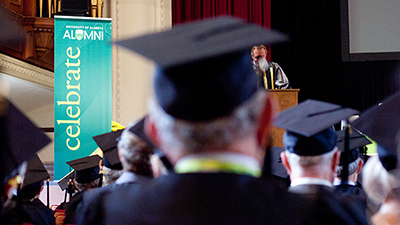 Independent Community Placements (ICP) have a long standing history at the University of Alberta and offer a unique opportunity for learning, and also provide a positive contribution to the community. Reflection: students have to self-evaluate their competencies at mid and final evaluation and score themselves. This exercise generates much reflection on competencies and directions for future learning. Invariably, students begin evaluating and scoring themselves low, but are enabled to objectively and accurately describe their skill level as would be required in a job interview. Self-Direction: the value of self-direction is appreciated by most students. Support from site staff and mentoring from the CECICP is often described as enabling more personal and professional growth than a "Do as I do" expectation that has been experienced at placements supervised by Occupational Therapists. Personal Growth: a real awareness of the people in society who face disadvantage and disability. Recognition of the environmental barriers people have to overcome in order to improve their quality of life and assume more valued roles. An ability to cope well with situations that provoke a difficult emotional response, constitute an ethical dilemma or may lead to burn-out in the future. Professional Growth (e.g., through the process of identifying, and in some cases developing an OT role and also via community networking and consulting). During an ICP the students often express their excitement as they recognise that they are being an OT and are being seen as an OT by their clients and the site staff. They are also being treated as equals by other professionals and agencies they are contacting on behalf of the client. 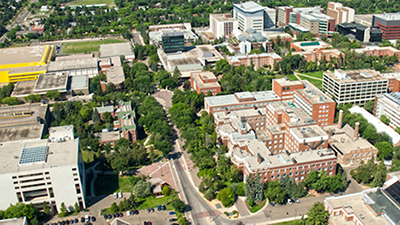 The ICPs occur at a variety of community sites (typically in Edmonton) that will fulfill the Community/Mental Health or Community/Physical Medicine requirements needed to graduate. Correctional Institutions : Fort Saskatchewan Correctional Centre, Edmonton Institution for Women, Elpida half-way house. Non-profit agencies serving people with specific needs or disorders: Boyle St. Co-op and Bissell Centre mental health programs, Multiple Sclerosis Society, SKILLS, Excel Resources, Adaptabilities, Cerebral Palsy Association in Alberta, Networks Activity Centre Society of Alberta (brain injury), Primrose Place Day Care, Child and Adolescent Service Association, Lurana Shelter, Women In Need shelter, WINGS, Society for the Retired and Semi-retired (Seniors' Safe Housing), Pilgrim's Hospice. The OT role is to improve psycho-social functioning and the quality of life in adult clients at the majority of the sites. Other sites serve children, the elderly and developmentally delayed and/or physically challenged clients. Students at every site inevitably treat clients with both psychosocial and physical needs. 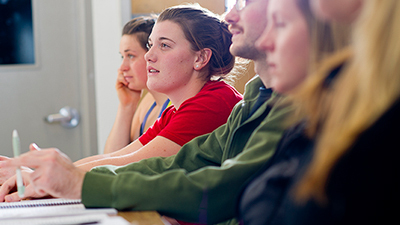 Students are involved in 1:1 interventions, client education, group interventions and assessment, linking with community resources, consultation and site staff education. Typically two students are placed at each ICP site to provide support for each other and enrich the learning experience. At an ICP you will have an on-site supervisor who will be available on a daily basis. This individual will not be an OT however will have an Allied Health background (e.g., social work, nursing, psychology, recreation, etc). The Clinical Education Coordinator for Independent Community Placements (CECICP) will provide the OT specific supervision in a mentoring capacity, as well as hands-on teaching/ supervision if this is likely to be advantageous. 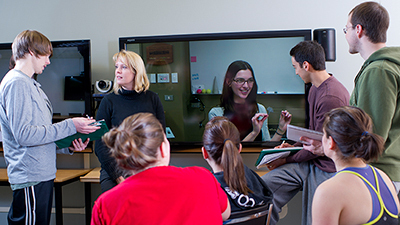 The CECICP is an occupational therapist employed by the University of Alberta who works to provide timely, effective and on-site support and teaching to students in groups or on a 1:1 basis. The CECICP visits potential placement sites and discusses the feasibility of placements. The on-site supervisor is contacted regularly regarding arrangements for students, the services the students might provide, etc. The CECICP has compiled, and updates, an ICP binder which is in the Resource room. It includes the location of each site, contact names, numbers and e-mail addresses, a brief description of the site/ site brochure, hours of work, dress code, vehicle requirements, etc. The CECICP provides an orientation to the ICP students describing resources that are available to students, reminders regarding safe working practices, learning objectives particularly applicable to ICP's, and assignments. Each year Campus Security provides a lecture titled "Working With Confidence in Unfamiliar Environments". Each week of the placement, the CECICP will visit the site for at least a one hour discussion with the students. The on-site supervisor is invited to all or part of this discussion. Typically students will describe what they have been doing, successes, challenges, future plans, etc. The CECICP is able to assist the students in integrating theory with practice, in problem solving, in accessing other resources and in validating their experiences and ideas. During each placement the CECICP and students identify at least one occasion when the CECICP can observe the students at work with clients. At the mid-term and final evaluation, the students discuss their self-evaluations of their strengths and challenges with the CECICP. The on-site supervisor will join this discussion or give feedback beforehand that can be incorporated into the evaluation. The CECICP co-signs any formal OT report that is given to the site, sent to a member of the client's treatment team or agency involved with the client. If the student is on their own at a site, the CECICP may partner them for groups, home visits, etc. If a student requires more assistance than the above this will be made available. When there are several students at similar sites, the CECICP will arrange a meeting to share experiences, ideas and information. The CECICP coordinates visits to community resources when students at more than one site would benefit from learning about that resource. Students may have a particular project at the request of the site or as a result of their own initiative. The common "project" is to demonstrate to site staff and clients what Occupational Therapy is all about. A lasting record of this is provided through a written report on each of 2 clients per student that documents the Occupational Therapy Process. These reports are not an academic exercise; they are an exercise in writing succinctly and briefly (the aim is one page) for a specific recipient - often the client's physician, case manager, primary caregiver, etc. When the emphasis has been group therapy, a report describing the group and the clients' participation may be provided for the site. Students are expected to include copies of all the above in their portfolios. They are strongly encouraged to keep an informal reflective journal of their experiences and learning throughout the placement for use as review before the CAOT Certification exam and prior to job interviews. The CECICP does not have an office at Corbett Hall but does have a cell phone so students can get in touch during the day when the CECICP is out in the community. An e-mail address and home/office number are also given to students. The CECICP does not have specific work hours and will visit students at their placement site or elsewhere, or can be contacted, at any time. A full response is available within a few hours. Bossers A, Cook J, Polatajko H, Lane C (1997). Understanding the role- emerging fieldwork placement. Canadian Journal of Occupational Therapy, 4, 70-81. Currens J, Bithell C (2003). The 2:1 clinical placement Model: Perceptions of clinical educators and students. Physiotherapy, 89, 204-218. Friedland J, Polatajko H, Gage M (2001). Expanding the boundaries of occupational therapy practice through student fieldwork experiences: description of a provincially-funded community development project. Canadian Journal of Occupational Therapy, 68, 301-309. Heubner J, Tryssenaar J (1996). Development of an occupational therapy practice perspective in a homeless shelter: A fieldwork experience. Canadian Journal of Occupational Therapy,63, 24-32. Soltys P, Johns S. Sullivan T (1997). A role-emerging fieldwork success story. National, 6, 5. Sullivan T, Finlayson M (2000). Role-emerging fieldwork: The university of Manitoba approach. OT Now, May/June, 13-24. Totten C, Pratt J (2001). Innovation in fieldwork education: Working with members of the homeless population in Glasgow. British Journal of Occupational Therapy, 64, 559-563. Schmitz C, Storr C, White C (2018). How role-emerging placements compare to each other and contribute to occupational therapy practice: A national snapshot. OT Now, Jan/Feb, 14-16.